All supplies (except dry wall tape) are from The Angel Company. 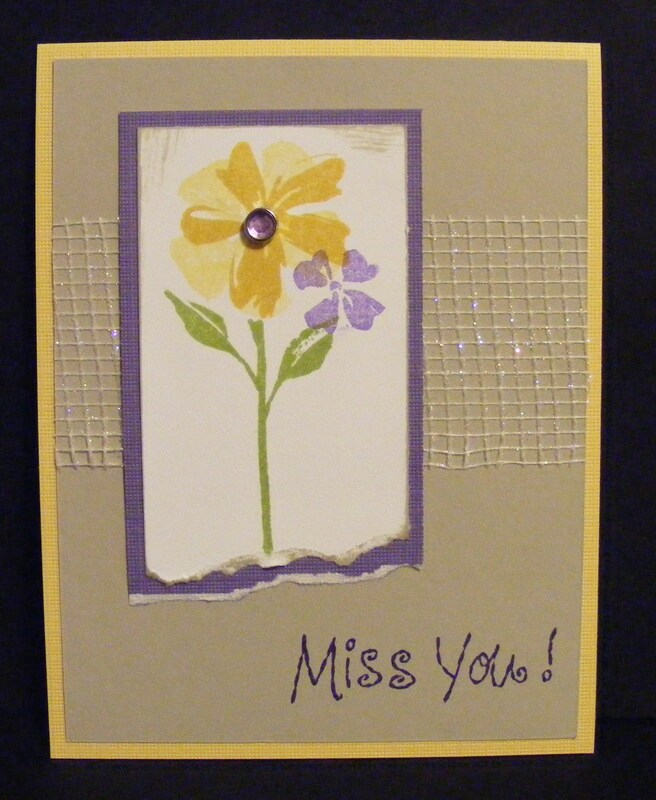 This entry was posted in Cards and tagged Brownsburg, Flowers, Glitter, greeting card, Indiana, Miss You, Rubber Stamps, Stamping, The Angel Company. Bookmark the permalink.